Completing the Kickoff Meeting within the first week after RFP release sets the pace of the Bid Launch Sequence™. Missteps in Launching Proposals. The biggest Kickoff Meeting problem is invisible: not harnessing assembled brainpower. The Capture Manager brain is transmitting data into the other 29 brains in the room. Little to nothing comes out of those other brains! At one Kickoff Meeting an executive said to me, “You know what I wish, Carl. Look at them. I wish I could figure out a way to harness all these great brains in this room. We would have something then.” He saw the potentiality being squandered. Not doing intensive team brainstorming during kickoff leaves undisclosed the collective wisdom of the team. Is that one Capture Manager’s brain smarter than the collective wisdom of the other 29 brains in the Kickoff Meeting? How could it be? Well, Think About It. The key executives, the know-the-ground capture person, the persuasive marketing people, the handpicked specialized-scope subcontractors, and finally the technically gifted subject matter experts, often 30 to 50 of them, are finally together for the very first time. Not one deliverable comes out of the Kickoff Meeting. That, by definition, is waste! Why not let the other 29 people have their say? 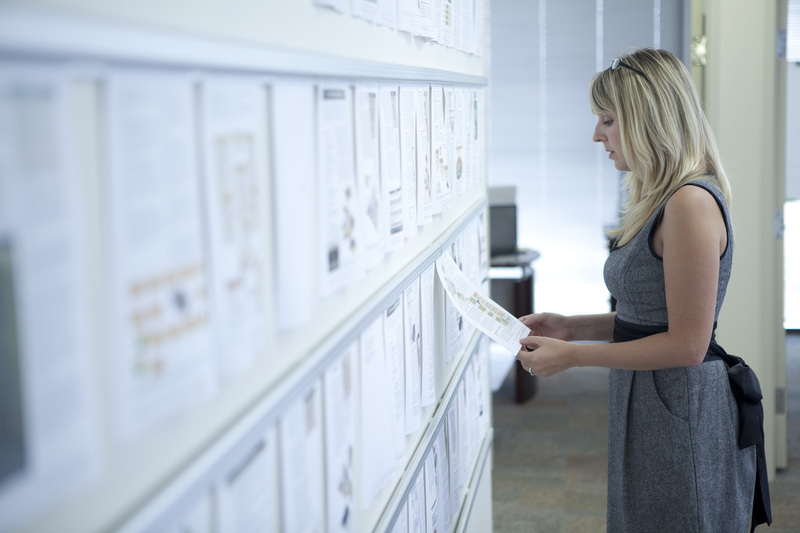 You see, I get 5 deliverables (one page each) from every Kickoff team. I make them stay much longer and mind map it. We spend the first full week after RFP release setting up the Kickoff Meeting and then conducting that for 3 full days. On the 7th evening after RFP release, you can ask any participant what are the 6 components of the technical approach, the 6 components of the management approach, the 6 main discriminators, and the 6 main themes. They will tell you. Also, if you ask any other participant the same questions, they will tell you the exact same thing verbatim. 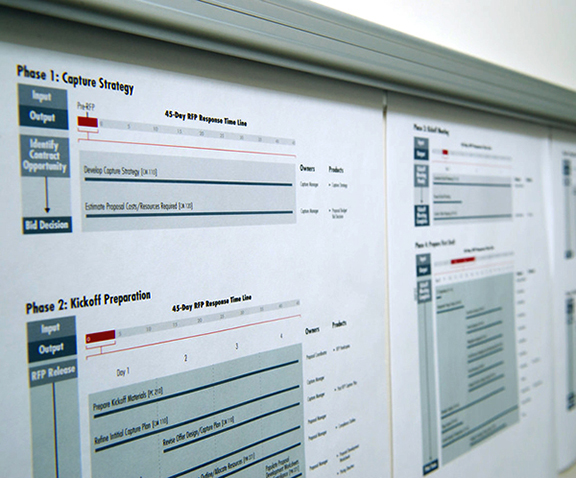 Those 5 sheets of paper give me the proposal’s configuration control items. With those, I start every bid with a group consensus of the collective wisdom and a single voice. That is a critical part of my Bid Launch Sequence™ discussed in my website, CarlSelfe.com. I am missing the hustle and bustle of The Proposal Center in Orlando. I could do a fixed venue again, but it would have to be in D.C. There, access to the government makes you more attractive for doing client support for firms distributed across the country. My market comprises federal contractors that are located nationwide; but it is their market that is in D.C.
My Orlando proposal center sprang from my current proposal process first trained to someone else in June of 1999. With BMAR & Associates in Hopkinsville, KY, I had a mission to transform their proposal process and I was fortunate that they were all willing to embrace a new way to approach bids. In that respect, I felt them very absorbent sponges. It was like ducks taking to water. They knew the business. They understood immediately the applicability of the new approaches to the same thing. That was the beginning of a 18-year relationship. 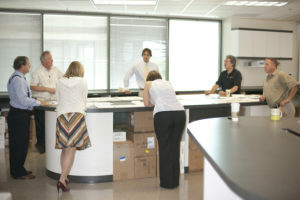 Their key team members have since moved into two different companies in that Fort Campbell area. Some still use good parts of my process. Held close, my process is not out there in the public domain; however, a copy of one of my proposals was given by BMAR to be taken to Kuwait for PWC Logistics to review. I was unaware, and probably would have freaked out. It just isn’t done, but it was the client’s to give. It impressed Tarek Abdul Aziz Sultan Al-Essa (Tarek Sultan), PWC’s Chairman and Managing Director. (Tarek Sultan was to become a huge supporter of my center and my efforts.) The proposal process now belongs to me. 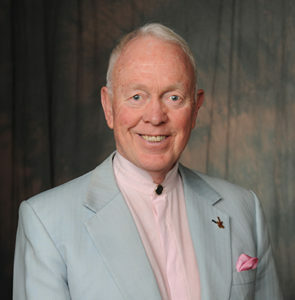 I did business then as TechServ Inc. with my partner Arnold J. Meagher, Ph.D. I often refer to him as Dr.A, and he is both intense and engaging. You would never know that from this photo of him about to regale someone with a colorful account about something. In October of 2005, I assembled a large bidding team for PWC Logistics of Kuwait (later Agility Defense & Government Services, Inc.). The team was PWC, and Florida-based General Dynamics Ordnance & Tactical Systems, and Shaw Environmental & Infrastructure. They were going after a very large effort in Oman, Qatar, and Bahrain. 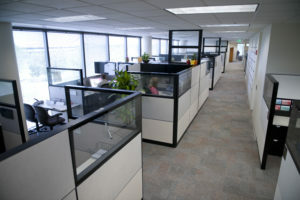 PWC Logistics was stepping out into services big time. The contract was $85 million a year, cost plus for 10 years. The whole group made a decision to do the proposal in Orlando, Florida. (Orlando was the center point between the two Florida companies and it has a very good international airport with which to accommodate the Kuwait-based company.) I was given the order to set up a temporary proposal center for this one bid. PWC Logistics said get whatever I needed. It was responsibility with commensurate authority, and a breath of fresh air. I did. It took a goodly amount of time to locate a space that I could rent for 6 months, but I found one. It proved to be a very flexible 6,300 SF. As I was negotiating the lease, I figured I might as well ask for another 2 years as an additional option just in case the work might evolve into subsequent proposals. I am glad I did. Agreeable, my lease was signed on December 21, 2005. I remember that day so well. It was the birthday of The Proposal Center. I decided, since it was a multi-company team, to not put my company name on the front door. I knew I had to come up with a site-neutral name. In that manner, I would avoid the potential displeasure these client companies might have walking past my company name 3-4 times a day. (One company was notorious for disliking consultants.) My client said I was at 6091 TPC Drive, so I might as well name the place The Proposal Center (TPC). I liked that idea. It is an informative workplace name. 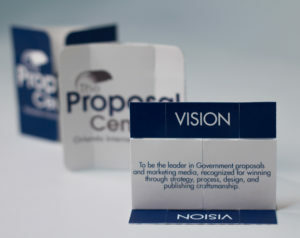 Every company has a proposal center. Answering the phone with, “The Proposal Center. May I help you?” would be company neutral. That neutrality could fit harmoniosly with any company that was either calling in or using my center, as if it was their company’s proposal center. The neutrality also meant no changes were necessary if I was acquired by others. It is funny that streets in our airport-vicinity industrial area were named after golf tournaments. Tournament Players Club (TPC) was just too long for a street sign; hence, TPC Drive. I had many, many people ask me how we got them to name the street after The Proposal Center (TPC). That always made me laugh. I changed my approach to proposal management with this bid. I wanted to kick it up a notch. I decided to add two more mind mapping sessions (Technical Approach and Management Approach) ) to the two I already had (Discriminators and Themes). That added immeasurably to what I now call my Bid Launch Sequence™. This increased amount of main mapping turned out to be more beneficial than i could have ever imagined. I had a very robust kickoff meeting at TPC for the Middle East bid, and I settled well into my proposal process for the team, shown mind mapping in the photo here. There were 20+ people in this Kickoff. Those I know that are still in the trade: Mae Wright, Gary Barkhurst, Pam Waltmire, Shadi Abdullah, Phil Wasler, Hind Saad, Jon Henke, Ayman Elkbakry, Barbara Price, Carolyn Price, Chris Campbell, Leslie Brown, Mandy Kirk, Marcian Woodside, and Mark Byrd. 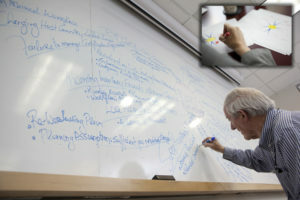 They got into the Technical Approach and Management Approach mind mapping with a gusto. 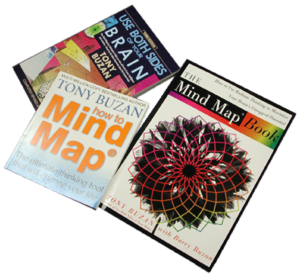 Those mind maps articulated the approaches, discriminators, and themes so well that we never did another proposal without those mind mapping sessions. 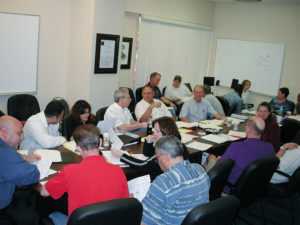 The 3-Day Kickoff Meeting became the law of the land at TPC. Keep in mind I had developed a proposal process, not a capture process. I based mine on good processes that I learned doing bids in the mid-1980’s with TRW. There, I learned finally what system engineering really means and TRW’s wall and storyboarding process. The latter stunned me with the visibility of the product and the ease of collaborative review, horizontal integration, and change. The wall is where we worked. That was at the heart of my basic model, but I added custom features every year. Later, I used Dr. Thomas E. Burke, a retired TRW executive, on a consulting basis. 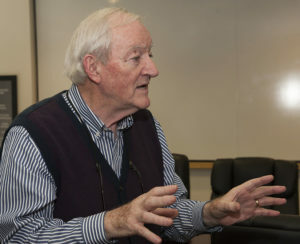 He led a 1,400-person engineering group in TRW’s Electronic Systems Group, with responsibility for designing and developing multi-hundred million dollar payloads for classified space programs. In the early ‘90s, he was transferred to TRW’s Automotive Sector where he helped transfer systems engineering capabilities from Space & Defense to Automotive. 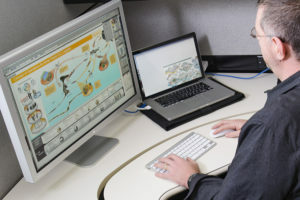 He led the early efforts to adapt 94-GHz proximity fuses for use in blind-spot detection and intelligent cruise control. Dr. Burke subsequently wrote an article explaining why my process works so well. I have written many articles, procedures, handbooks, and a training program on my process. 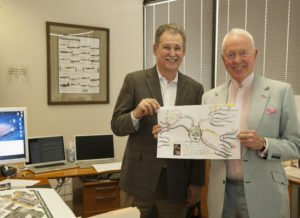 It was Dr. Burke that gave me the insight to see that my process defines at the outset all requirements, just as he discussed about the revered Toyota Manufacturing Process in his article, and just as systems engineers at TRW pre-specified and documented every requirement and every interface before they started work on a new system. Trust me. That proposal is a “new system”. It had better be a totally new approach if you are going to win. That is what I did in a 3-day Kickoff. I needed to acquire the good stuff while I had all the players and the SMEs together in one room. Kickoff is the only shot you have at this. My take on it is a moon shot. I sequester those brain cells for 3 days straight. Each brain is 10 billion brain cells, and 25 people makes 250 billion brain cells. A structured process of channeling is needed to gather the data. Mind mapping gave me that, and time gave me the window to gather the nuggets. Try telling me 4 days of preparation and 3 days of Kickoff is too much. Many do. I am talking about building a finite plan for a 45-day project working (generally) 25 people. A week is not too much to invest in a plan for a project of that size, it is in fact a prerequisite to responsible proposal management. I made a major discovery as I laid up the proposal schedule for that delayed (and ready to restart) Middle East bid in April of 2006. I had to put those mind mapping sessions, the 4-hour charrettes, on the revised proposal schedule chart. I stopped as I began that schedule layup. I was now facing four charrettes, not my normal two. I asked myself, “Is there some particular order in which I should do the mind mapping charrettes? Does the order make a difference?” I had never asked myself that question. Then, an epiphany hit me. It was a sudden insight into the reality of something I had been doing for 25 years. You have to build the components in a specific order. Each completed document melds together (with the others completed) to form not only the baseline, but also the feedstock for the next mind map that needs to be developed. That revelation brought disciplined order to an already strong solution-building process. Why is that? Do you remember being told to go write the themes for the bid, and not knowing what all of the approaches and all of the discriminators were. I do. Can you say how to manage (the Management Approach) all the technical requirements before the Technical Approach is even specified? I count my epiphany as one of most critical events in creating uniqueness within my proposal development process. No one else that I know of segments the bid into these five buckets and solution builds a consensus of the full team in this precise order. It is one of the most unique aspects of my process. Hearing he was coming to Orlando, I wrote him of my use of his technique, and he came to see me at The Proposal Center. He put an article on his blog in the U.K. about me, explaining how I use his brainstorming process in a manner and more robustly than he has ever seen. 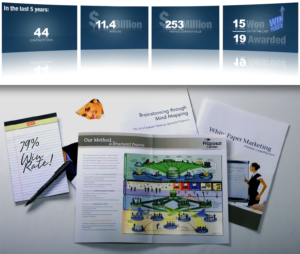 I use it for every proposal, and as a way to create marketing brochures. The Proposal Center was totally standalone in Orlando. There were no other corporate offices there. I was a “proposals only” venue, fortunately devoid of other corporate involvement in the bids. I say fortunately because I know if I had been just a wing in the corporate building I would have been run over by corporate bureaucracy. I am not by nature the least bit compatible with bureaucracy. I was in fact highly successful because I was allowed to flourish as a creative, and that is the astute wisdom of Tarek Sultan. I know for me the original plan was for 1 year of employment. I declined, and said 2 because in Government contracting you can’t win a bid in 1 year. It takes 2 years to prove anything. They agreed to my 2-year contract. Prove it I did. But it was Tarek Sultan that mandated my contract renewal (to 4 years). The rest of Agility was in DC, Kuwait, and worldwide. I was alone in Orlando pumping out paper, I like to say. After 2007, it was mandated that all the company A-Level (mega) bids were to be done at The Proposal Center. (No one else had won any big ones. I had won most.) B-Level bids might be done at The Proposal Center. C-Level bids were done elsewhere,…ever how that business unit wanted to do it. 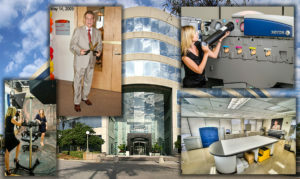 I expanded my initial role through outreach to sell internally The Proposal Center. I landed Kuwait corporate’s Saudi Landbridge commercial proposal, a contract worth $50 billion, to the tune of $1.7 million for the proposal. 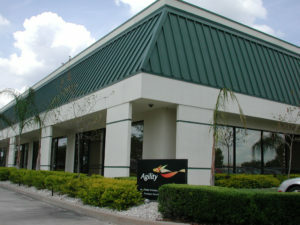 All capture teams, writers, and teammates came to Orlando late on Day 4 (the 4th day after RFP release), but were not allowed into The Proposal Center that day. The Kickoff Meeting for all hands started on Day 5 at 8:00 am. This was a difficult concept to enforce on those too eager to get to writing. It took a few proposals to get everyone to understand. Four days before Kickoff turned out to be a needed space to do very comprehensive Kickoff planning and setup. It also allowed those about to fly into Orlando the time they needed to review the RFP, clear their desk, and make travel plans for an extended stay. Mine, you see, is a day-choreographed process based on a 45-day model. Kickoff is Days 5-7. By Day 9-10, I am doing comprehensive 11×17 (page layout templated) Storyboard Reviews, standup, as shown here being conducted by Proposal Manager Javier Benevente. Pink Team is Day 23. Red Team is Day 34. Senior Management Review is Day 40. (If the Government gave me a different bid-open envelope, I modified the model’s schedule. A holiday around one of those days, I adjusted.) Everyone at TPC learned and then embraced the discipline of these process-driven marching orders. Pink Team documents were always 100% complete. That was a standard I set down. The manner in which I scheduled the work helped make that happen. I never missed a 100% complete Pink Team, except once. (Sorry, the process to do that and that company that slipped up are a secret, and they won anyway.) I won 60% over the 4 years and 79% over the final 2 years. I did get to 83%, but a bid for a small fuel terminal on Masirah Island (off of Oman), was a loss. I slipped to 79%. The average win’s total contract value was $253 million. It was a lot of big proposals, 73 of them, and I went through $37 million of Tarek Sultan’s money. Bless him for his trust. I got the proof I needed of the efficacy of the advanced concepts. Before I could only dream of doing some things, and I had no idea if I was correct in my assumptions. Tarek Sultan got a tremendous backlog in 4 years. He made it happen and I got my proof. People in D.C. were always a little, shall I say apprehensive, at the level of my expenditures, and I felt like there was great difficulty for them to see the direct correlation between the number of bids they were sending in the front door with the dollars going out the back door. I have to tell you of the screaming email from my first boss, Kevin Ruelas, in early May of 2007. “Carl do you know you spent $1.1 million in January? The @#%* is going to hit the fan.” I wrote back, “Kevin, we have been working your bids. We had 20 government submittals that month, including 6 proposals, 8 Q&A interrogatories, 3 Final Proposal Revisions (FPRs), and 3 RFIs.” That took care of that. He wrote back that he got it, I was spending money to make money. Notably, the $50 billion LOGCAP IV FPR was in that batch of work of which I wrote Kevin. I sent six people to Fort Worth to help on LOGCAP. I myself did Pink and Red Team participation. My team did most of that Cost Volume. That bid was a winner. Doris Meyers was the Proposal Manager, a technical requirements specialist who had, like me, worked for Pan Am. She came out of Los Alamos. Four on that bid team had worked for Pan Am World Services. As it happened, for 2 years straight The Proposal Center worked 7 days a week. Twice I directed us to move into 24/7 shifts. I peaked the TPC staff during one period at 85 people (Saudi Landbridge). I myself peaked professionally by managing 27 simultaneous bids on 3 continents, and I managed 15 bids directly in The Proposal Center at one time. That 85 people was way too much for 6,300 SF. During that peak period, I felt personally threatened when I walked by the line of 4 ladies waiting their turn to get into their one restroom. The eyes on me were not smiling eyes. It had been 2 years in what I called “the warehouse”. I put in for a venue change to professional office space. That request was approved, as was my renewal for another 2 years. My adding Adobe® InCopy® to our toolbox led to huge cuts in overtime, and a reduction of TPC operating cost by $4 million. I was the first in the proposal business to use this new tool from the newspaper industry. Innovations like these I funded out of the B&P budget. It was a blessing to never have to ask for approval from anyone, to just be able to do what I needed to do. It was not that the level of trust was so high, but phasing in all the wins was eating a lot of lunches in D.C. Phase-in efforts must have been a…beehive. There were many phase-ins of inordinate complexity. Spain Base Maintenance Contract was 3 sites. DRMO SWA was 6 sites, USMC CSP was all the Marine Corps’ 22 sites. For the people in Operations, the number of sites is most relevant. (It was my job to shoot the bear. It was Operations’ job to skin it.) I did help some with the phase-ins, often mobilizing my consultants to support. No one in my bid world had ever accomplished anything like this (in the timeframe given). Nor will they. People that worked at The Proposal Center can take great pride in their accomplishment, and this post is for them. I doubt very much that they know exactly how everything came about, and the import of what they did. I want them to know that they did this. It won’t happen again, but they have this record forever. Who else will be given $37 million and set free to do it the right way with no corporate executives second guessing every decision. No one. In the end, Agility was suspended and closed the place down. They were unable to bid for 7 years due to discrepancies in contracts way back during the Iraq war. A master of economics and timing, I repurchased the facility from them just in time for the government shutdown. I had to close TPC for good in mid-2014. The Kuwaiti-owned company is back in the market this month, having worked it out finally with the Government. I wish them well. I was just happy to see the wins pile up, and to see very good people being productive and successful. TPC fed a lot of locals for many years and I was able to give their spouses consulting work and their children internships. Ours was a mission focus. I do not remember anyone ever raising their voices in my facility. I remember how good it was to have a place where people could work together in peace. That was the way that I and others felt about this place. The separation from corporate in D.C. relieved a stress that, unseen, is always there. My focus and my team’s focus was on perfecting the craft. To see my staff get and then implement new training, and also to hound me to get more, and then for them to grow professionally was wonderful. And what a joy it was to see young people start into this niche business. They learned both a trade and a very sound way to do very good proposals. I saved a picture of Nickey on her first day, April 1, 2006, taking over our reception desk (and doing all the point of contact lists for every bid). Within 2 years, she became 1 of my 3 proposal coordinators. By mid-2014, when it closed finally, she was the best proposal coordinator I ever had. Many small consulting firms sprang from TPC, and they will do well with what they learned. I never missed a deadline, and it was real busy. Everyone took it very, very seriously. For instance, one day someone found one of my proposal coordinators crying in the ladies room, balling her eyes out, and totally unconsolable. I never saw her cry before about anything. I called her Sarge. She ran a tight ‘end of proposal’ book check with a voice so strong you would think you were the buck private in boot camp and she was an angry Drill Sergeant. She took great pride in her precision. She never missed anything. But that day, it seems the government called and said the required CD’s were not in her shipping boxes. They can throw you out, and this was a Work For Others (WFO) client. It was serious. After getting one of our ladies to make sure there were no razor blades in the ladies room, I set the crew to making new CD’s immediately. You don’t panic in my business. You take a deep breath and do it by the numbers. (You do this, you do this, and you do that! Move out!) Our partner EMCOR’s lead, Doug Rowles, called the CO and asked them to look again. Doug called us back right away. The CD’s were there in their packing material rubble pile. That coordinator never missed anything. As I indicated there was never a raised voice in The Proposal Center. The worst debate I ever saw was whether or not to capitalize Warfighter. (We did not.) There was instead always a lot of laughter. I will always miss the laughter…and the hustle and the bustle. It has been interesting to be working on a website again, and this one is really putting myself out there. This website is much more complicated than the website presences I have had in the past. This time I added me…the sage. I looked around and found what we had been so busy doing over the last 10 years is unique in industry, and the publications I have authored over these years have morphed into a product line that can greatly benefit more than the people who walked into my proposal shop. That adds a dimension to the website that I never had before. The largesse of being able to try new techniques at my proposal center helped to refine and prove out my processes. I am quite certain these things will help many in my field. Another thing that is quite different is that this website will take administration and constant feedback to interested parties. I don’t yet know how this will change my world. My guess is that it will become a full time enterprise. Don’t you think that everyone should jump off the cliff every now and then? Actually, I don’t think I will be able to give up my proposal development trade just yet. Not facing a proposal delivery deadline just seems cray. It is a new blog. I have not had a blog in a decade, but it may well be time to do this again! I hope the topics will be interesting for those in my trade. Your feedback will help keep me focused.